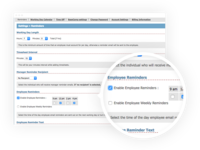 1Time is suited to any company that has multiple projects, multiple clients and multiple employees working on these various projects. 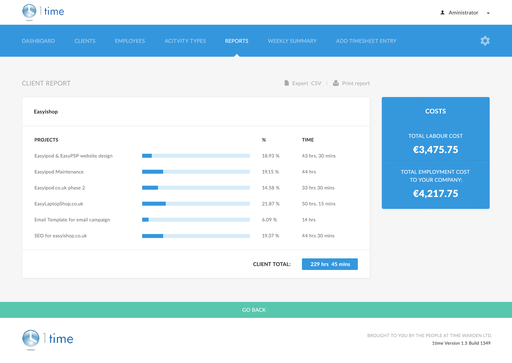 ¿14.00 = 5 Users All paid plans allow unlimited clients and projects. 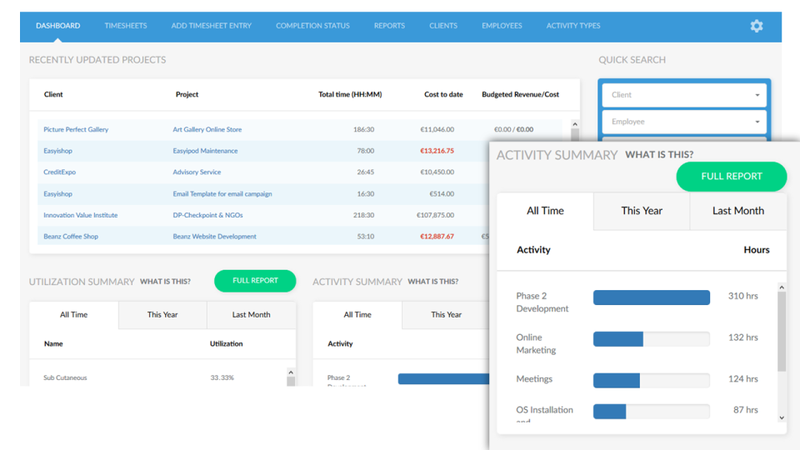 Web-based time and expense tracking application that allows you to easily keep track of real time project costs. 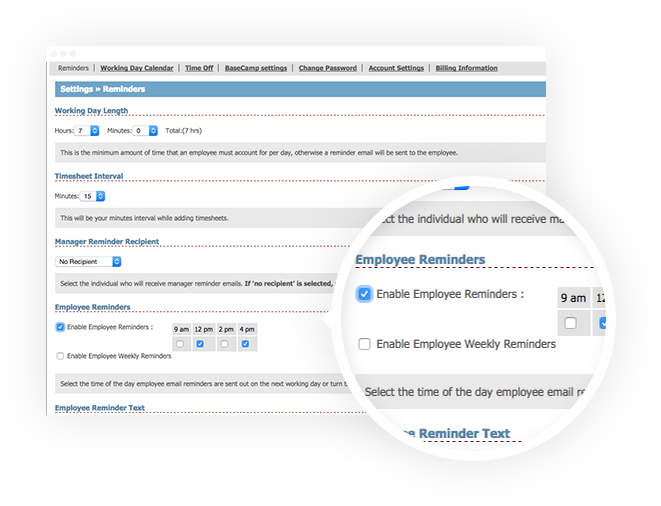 Keep on top of timesheet entry with options such as automated Employee Reminders, timesheet approval by Administrators or Team Leaders, and Weekly Manager Reports. 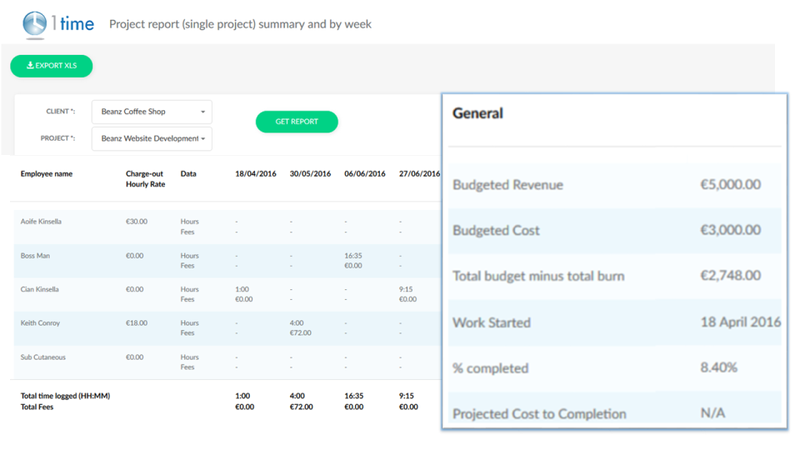 Our Financial Summary tool allows you to see, at a glance, if your project is on track, or in danger of going over budget. We offer a 30 day free trial at any subscription level, no payment details required on sign up. Simple to set up and simple to use. Pros: I have multiple resources which tend to work across multiple projects, this software handles that very easily. 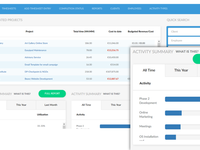 Also has the ability to set budget thresholds and warnings that alert you when money is being overspent. Works on any browser. 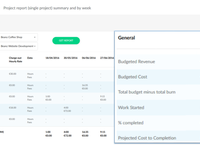 The reports that it produces are good but even better is the ability to simply export your data to Excel format so I can quickly shape reports the way I want them to look without having to use another 3rd Party. When I started using 1time their customer service wasn't great but I'm glad to say it has improved vastly over the past 12 months. Cons: Doesn't integrate with JIRA, which would be a huge plus for me, however they have said it is on the roadmap for late 2018. 8 years working with it. Simple and easy. Pros: We are a small business and for us is very important to be eficients in every single task. This tool is easy and fast, perfect for us. 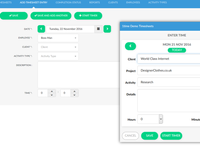 Cons: We would like to have some new features like information related to tasks for each project. In order to have more details on the projects we are working on. 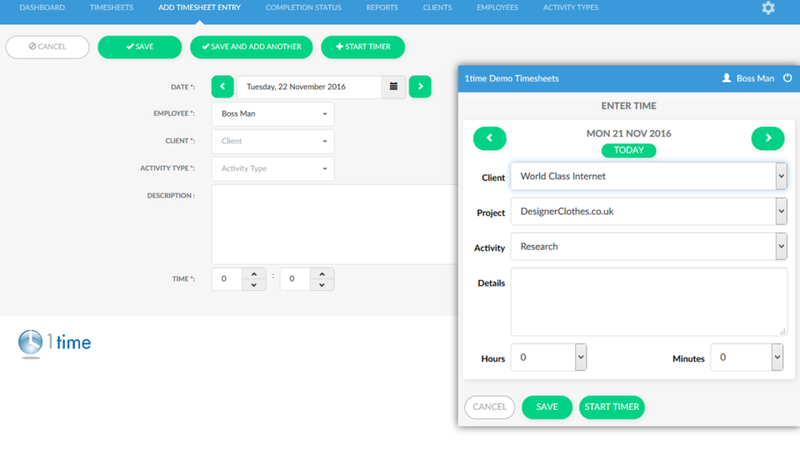 Easy to record their time, really nice fresh UI, the insightful project profitability monitoring. Cons: Well it meets our business needs, but (being a Software-as-a-Service), you cannot access it unless you are online. The data download function helps with this. Pros: This platform allows us a follow-up in "real time" of our projects, not only in what has been design and communication is concerned, it is also important to rely on them, to obtain the follow-up as far as costs are concerned, this is a platform that allows the effective management of resources. It is advantageous to be able to monitor the scope and limitations of our budgets. The data it generates are easy to share, even with other programs. Pros: It is simple and easy to use. Whenever we have an issue it is easy to fix. Cons: The customer service for this product, 1time, is definitely lacking. Recommendations to other buyers: If considering this product, you need to look and compare at the customer serivce options. Comments: Its really easy to use.